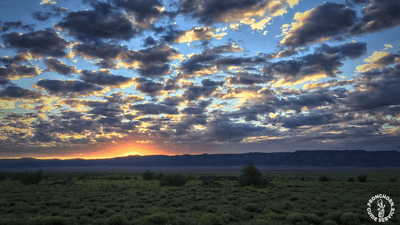 Across the board Arizona had a down year in 2018. Deciding which units to put on the list is tougher than normal. I think 2019 can be a great year but it's going to possibly require more scouting than usual and more hiking. 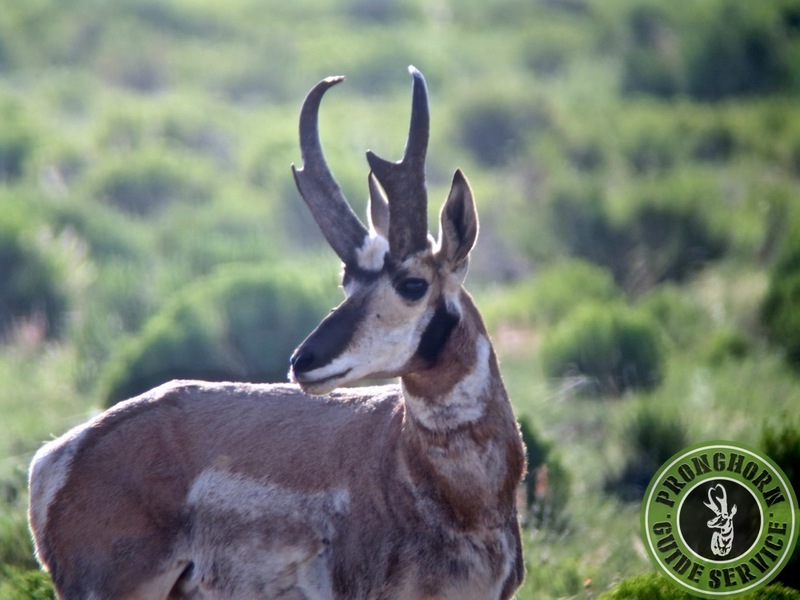 I'm looking forward to finding some giants and hopefully this review of the Top 6 Pronghorn Units in Arizona for 2019 will help a little. Let's take a look at what we know and what we can use to determine the best units for 2019. The number of fawns is one of the biggest factors when determining the overall quality of a unit in a given year. The most important years for fawn spikes would be the years that would allow the bucks to be either 3, 4, or 5 years old for this season. Those years would be 2016, 2015, and 2014. The first of those years, 2016, would be the most important. Followed by 2015, and then 2014. 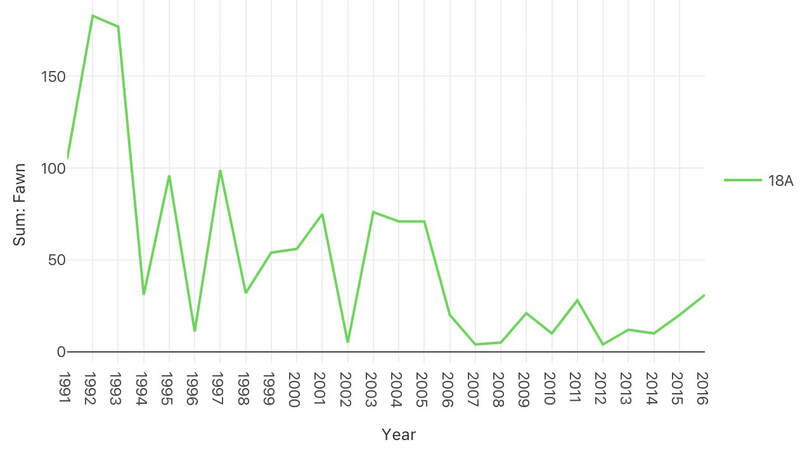 When looking at the chart for Unit 1 we can see that the fawn numbers are steadily declining since 1991. Now, does this mean that Unit 1 would be a bad 1st choice on your application? Not necessarily. 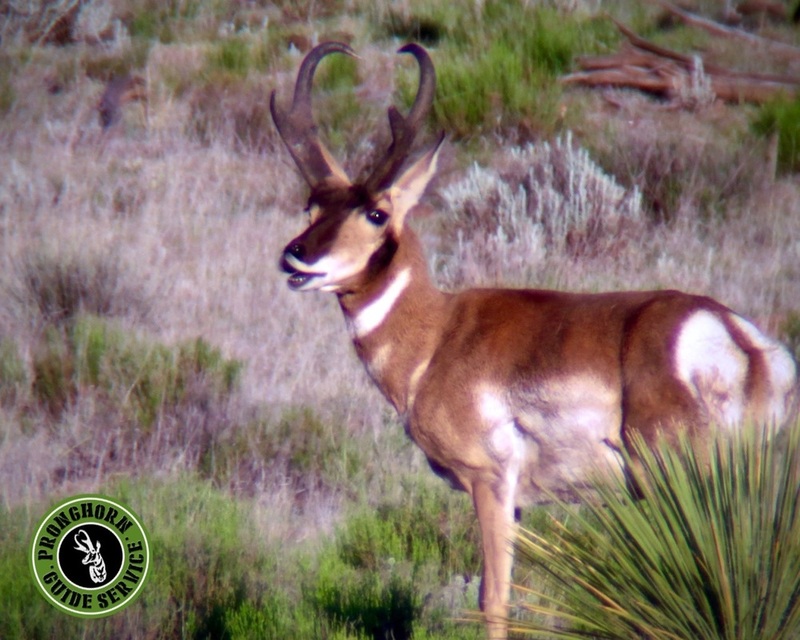 Even though we see units where fawns decline, certain units can still hold great genetics. There still may be giants, but possibly very few. 1. The historical and the 5 year trend for bucks produced that break into my Top 100 list. 2. What we actually saw on the ground last year. The first part is easy enough. I've posted 2 graphs for you to look at. The first is the historical Top 100 list for Arizona. The second is just the last 5 years of that list. As you might notice Unit 1 isn't on either list. This is because, according to my records, Unit 1 has never produced a buck that makes the Top 100 list. Not a great sign for good genetics. It's always possible that I've missed a few bucks here and there that should make the list, but the list still gives us a good overall representation. The second part is a lot tougher for ranking all the units because we typically don't get to scout every unit in the entire state every year. In those cases we just have to guess and use other information we get from hunters and guides. As for Unit 1 - we didn't scout it last year, but we also don't know of any big bucks coming from the unit. ​Another factor to consider is access. Everyone has a different idea of what makes a good hunt and so access issues may not bother you as much as someone else. I won't use access as a measure of unit quality. Tag numbers come into play when you're talking about hunt quality. 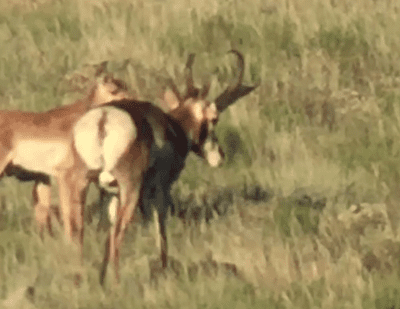 Having to compete for the best bucks may be exciting to you, but others may dread it. I also won't use that much in my rankings. By now you might assume that Unit 1 isn't a great spot to burn 25 bonus points. And you'd be correct! Fawns: The fawn numbers have been increasing since roughly 2006. There could be a decent number of 3 and 4 year olds with a spike in 5 year olds provided they haven't been killed already in prior years. Top 100: Historically 5A makes the Top 100 with a few bucks which is a good sign for top end genetics. The last 5 years there hasn't been a true giant killed in 5A but I saw a buck a few years ago that would have been close that wasn't killed. On the ground: To be honest we didn't see a bunch of great bucks in 5A last year. This is mostly because we didn't spend that much time in the unit. However, I was in contact with a few people who saw some 82 to 84-inch bucks. Another reason I really like 5A is the number of tags issued. This year they have 10 rifle tags. For a unit this big that's a relatively low amount. Which should make for a more relaxing and fun hunt on opening day. 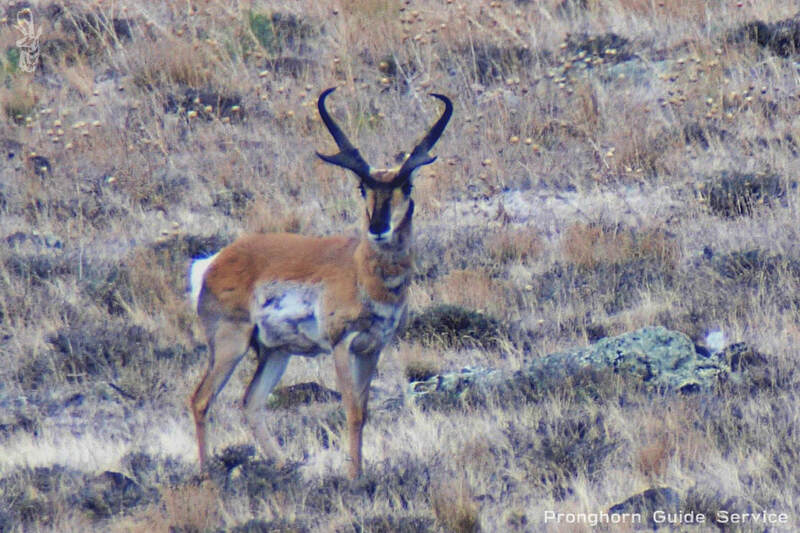 Whatever you do, don't expect to see a lot of antelope or easily find a big one. This unit could take a lot of scouting time and long hours glassing. 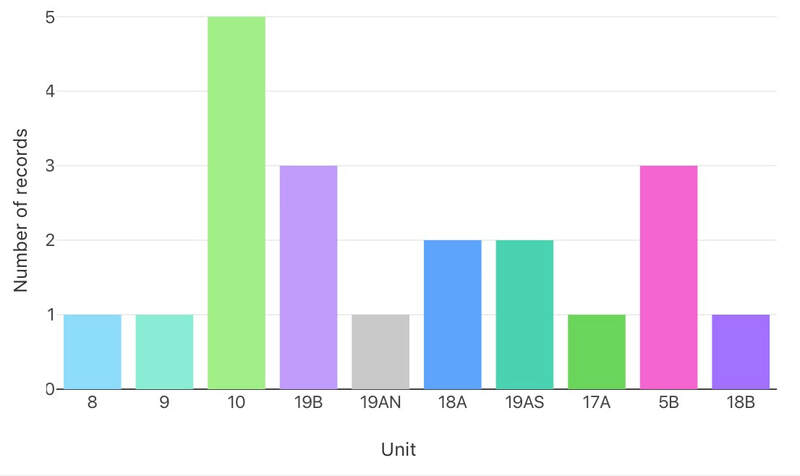 Fawns: Unit 4A's fawn chart isn't as pretty as 5A, but the unit's total fawn numbers for the past 3 years combined is actually a lot higher than 5A. 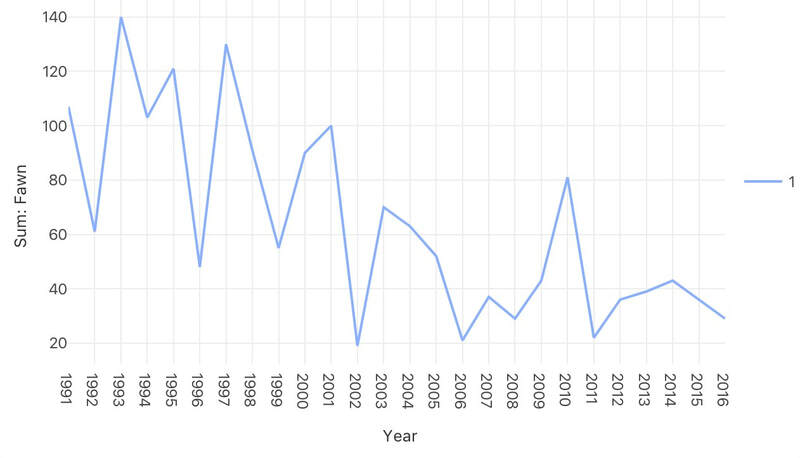 With the spike in 2014 there should be a lot of 5 year old bucks still alive. Top 100: The unit only shows up (barely) on the historical chart for the Top 100, but I know for a fact that it's produced a slew of bucks in the mid to upper 80's range. And several of those types in the last few years. On the ground: We scouted up several 80 to 82-inch bucks last season in the unit and know of one that was killed and scored in the upper-80's! 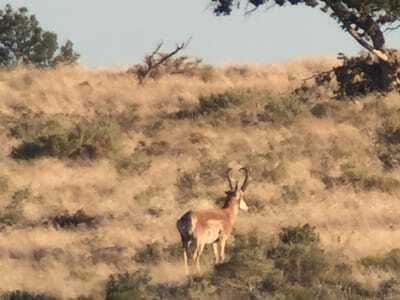 You'll see A LOT more antelope on this hunt than in 5A. 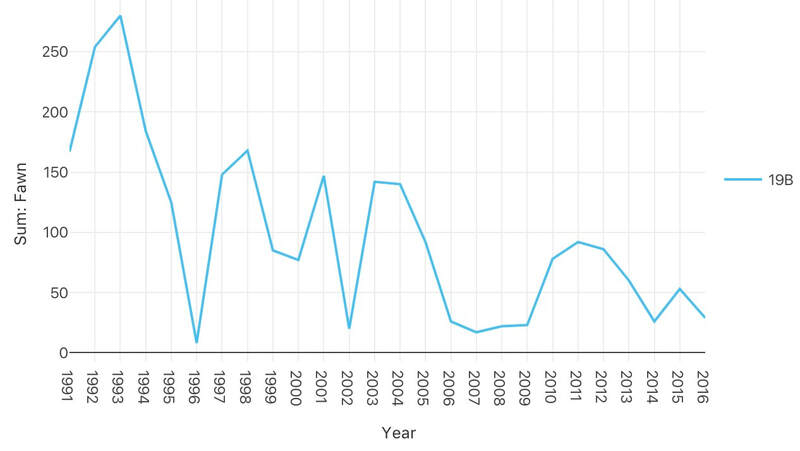 Fawns: Since about 2007 18A has seen a very slight upward trend in fawn numbers and in 3 out of the last 4 years. It's a far cry from the historical fawn numbers from the early 90's, but with the chopped up nature of the unit I wouldn't expect that to ever return. Top 100: 18A makes the Top 100 list historically and during the last 5 years. This should indicate very strong genetics. Even when the fawn numbers took a dive the big bucks kept popping up. They aren't easy to find in certain areas of this unit, but sometimes they still do. On the ground: We saw several good bucks last season in 18A including a few in the mid-80 range. They were very spotty and very hard to relocate because of the lack of overall numbers in the unit. Apply for muzzle loader only if you're searching for a trophy buck. Muzzle loader hunters get first crack and many of them kill big bucks before the rifle hunters make it to the unit. Also, if you want a really long buck or potentially one that hooks forward, this is the unit to apply for. 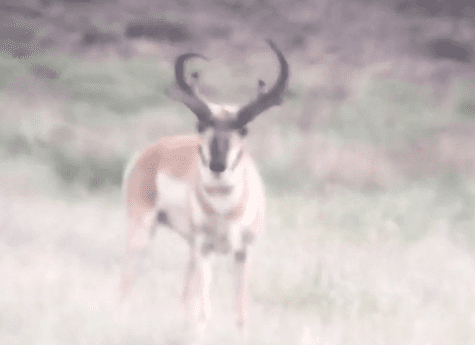 It's produced more hooked forward 17" long bucks than anywhere else. ​Top 100: This is where Unit 10 shines. 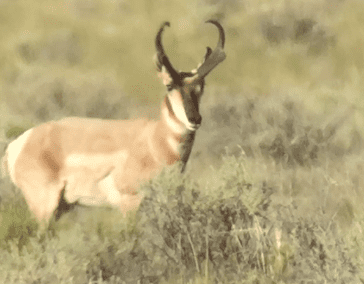 It's produced more Top 100 bucks historically and in the last 5 years than any other unit. The genetics are impressive in this unit to say the least. Where there might not be any 88+ type bucks there should still be several record book heads and few mid-80's even on down years. The size of the unit and overall numbers compared to most of Arizona's other units are just too good to ignore. On the ground: We actually guided several hunts in Unit 10 last year and did really well considering what we were up against. We killed 3 bucks that officially scored between 84-4/8 and 86-2/8. However, even though we still did good, most of our back up bucks (maybe all of them) were killed by other hunters. This would mean that in order to get back to decent numbers of good bucks the unit's going to have to overcome a lot. Fawns: The fawn chart for 19B isn't stellar but if you go back to 2006 it's slightly up - or at least pretty close to even - over that span. It had a great run for a couple years, similar to Unit 10, during the 2010-2012 years. And as a result we killed multiple auction bucks in 2015 in the unit. They were on private with almost no access, but the bucks were still there. Top 100: 19B excels in this area, too. It's 4th historically and tied for 2nd over the last 5 years. The private ranches, as big a pain as they can be, do at least allow for a lot of the bucks to grow to their full potential. Unfortunately, because almost no one gets to hunt them, they also grow past their primes, shrivel up, and die of old age. But, they also leave the ranches sometimes and wind up on accessible land - which is what we're always hoping for if we draw a tag. On the ground: We found an absolute pile of 80" bucks this last season in 19B. I have a list of 13 that I know survived the seasons. And there would have been more had the drought not killed off several of the mature bucks. The bad news is that almost none of the bucks that survived were over 82". So, they're out there, but they have some ground to cover if they're going to get to record book size or bigger. Also, the muzzle loader hunters get a crack before the rifle hunters and the bucks in this unit aren't very skittish. 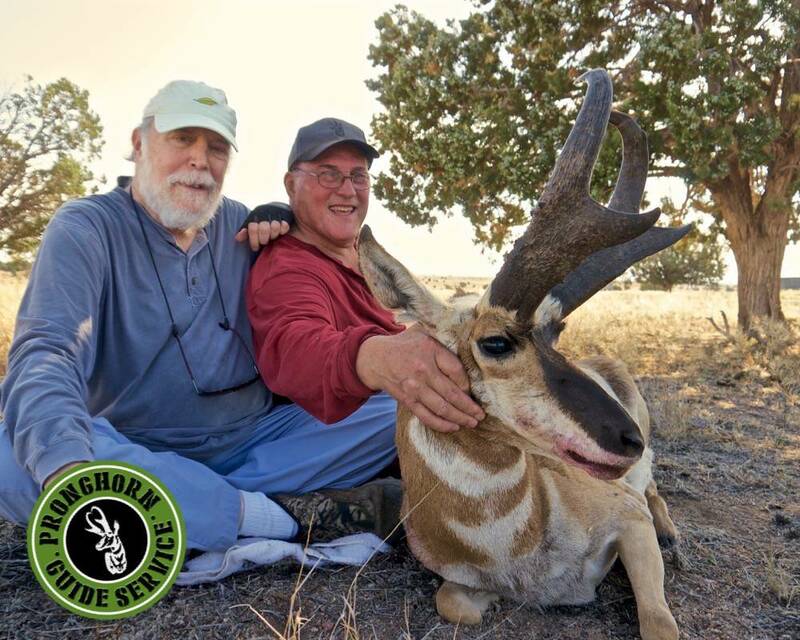 If you're searching for a trophy and aren't going to pay big money for access - apply for muzzle loader only. Otherwise the best bucks on public land will probably be gone. 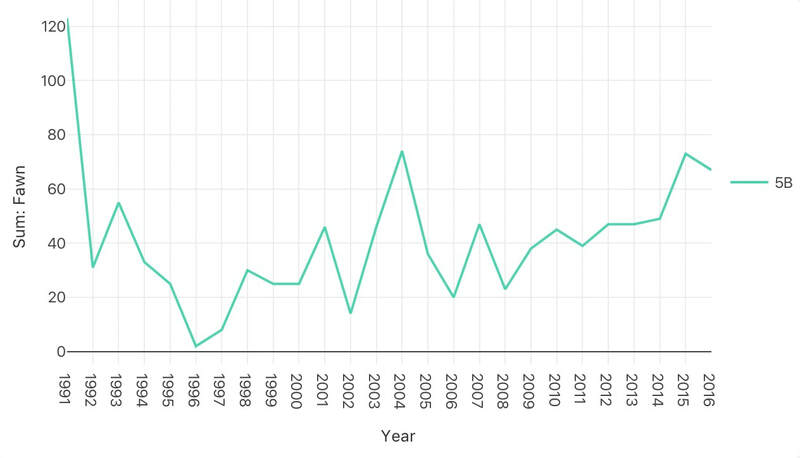 Fawns: It's had spikes here and there over the years, but really it's been trending upward since 1996! 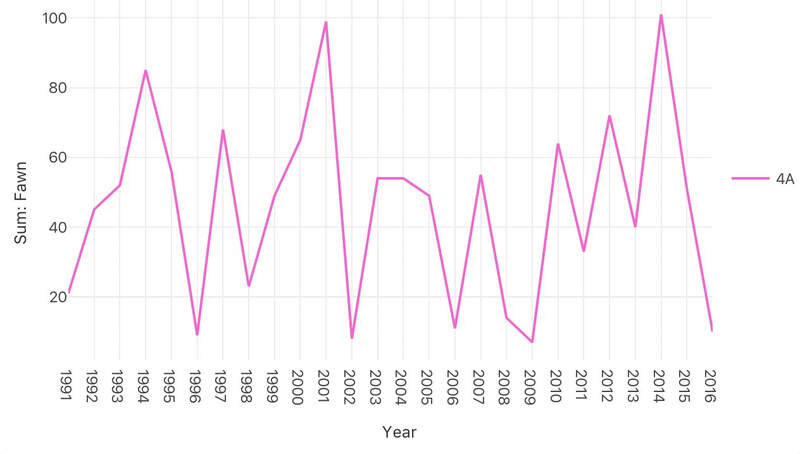 And very specifically it's been trending upward almost every year since 2011. That's pretty amazing and something I really didn't see when looking at any other unit. 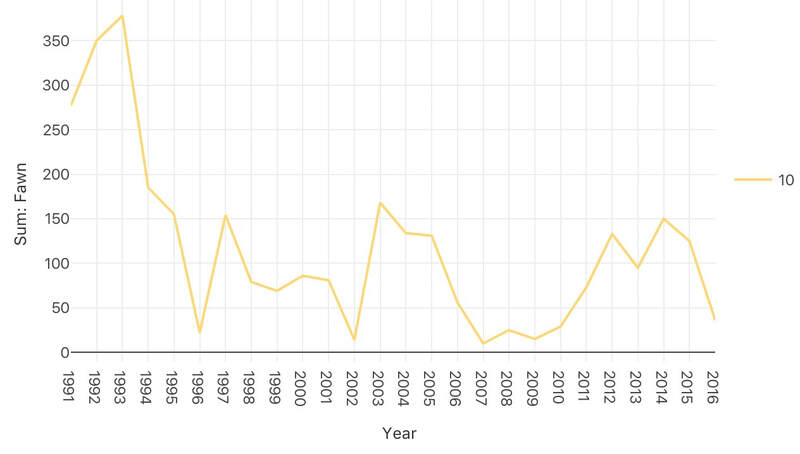 And not only is it trending upward, it's doing so with a decent number of total fawns. As far as fawn charts go this is by far the best one in the state. Top 100: 5B isn't the best in this regard but it isn't far off. It's ranked 5th historically for giants, and tied for 2nd over the last 5 years. What's great about this is that 5B isn't easy to find or kill the biggest bucks. Which means there are probably more big ones here than anyone actually kills, and they still kill enough to have the unit rank really high on the Top 100. That's great genetics. 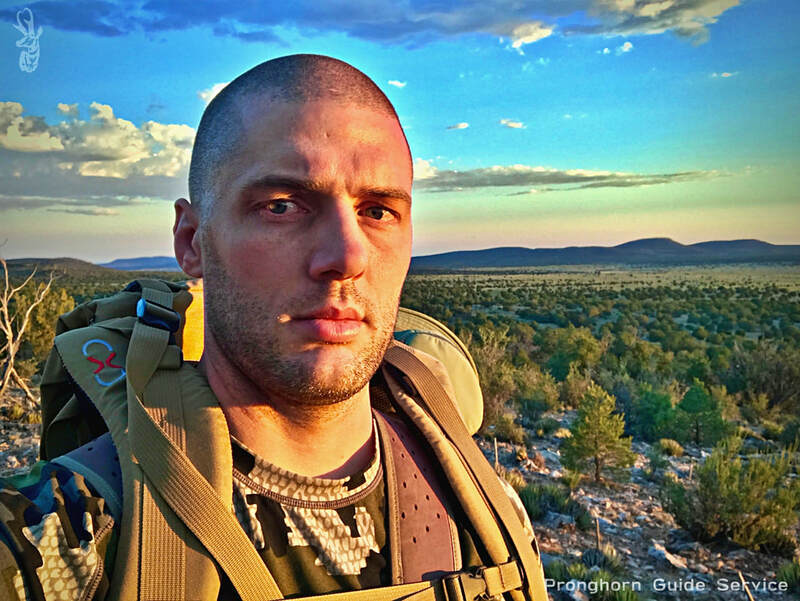 On the ground: I scouted 5B quite a bit last year and found a few mid-80's type bucks and one upper 80's buck. Every year I hear rumors of more than one true giant. Sometimes I'm able to dig him out, sometimes I'm not. But I do believe there's probably at least one upper-80's in this unit every year, regardless of if it's found or killed. 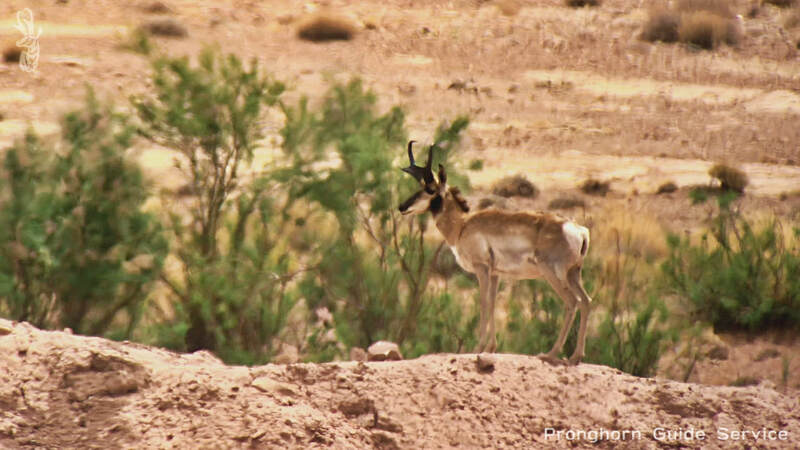 Also, every day I spent there, I found more and more antelope. I didn't see the same bucks very often, but I kept on seeing bucks. I counted over 60 bucks in one 3 day span last year. The trees are thick in this unit so be prepared to chase "Bigfoot" during your hunting and scouting. And even where the trees aren't thick, it's still more difficult to hunt than the other Arizona units. This was a pretty easy unit to rank number 1 this year. Good luck in your applications and send us pictures when you kill a giant! 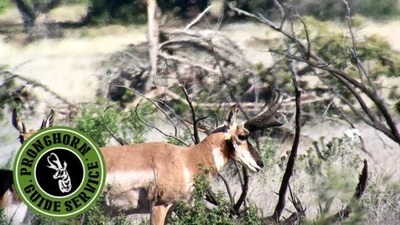 A quick review of the 5 bucks currently posted for field judging. Hopefully if any of you were way off this post will help correct some of those errors and make you better in the field. Don't read this if you haven't entered your guesses. Do that HERE now. For Buck 1 the average results were really good. 1. Several people listed a 6" or bigger 2nd quarter measurement. Maybe they forgot that this is the measurement that goes above the prong. The 2nd quarter is the same as the D3 on the B&C scoresheet. A 6" measurement for the 2nd quarter would be among the largest ever. 2. Several people listed 3.5" - 4" prong measurements. Maybe this was because they were only guessing the length of the prong that protrudes off the main horn. Remember that the total prong length wraps around to the center of the back of the horn. This usually adds about 2" to 2.5" to the length. If a prong was only 3.5" - 4" it would extend off the horn less than the width of the eye. This buck's prong is probably about 3.5" off the main horn. If we add 2" for the measurement that wraps around to the back of the horn then the prong would be 5.5". 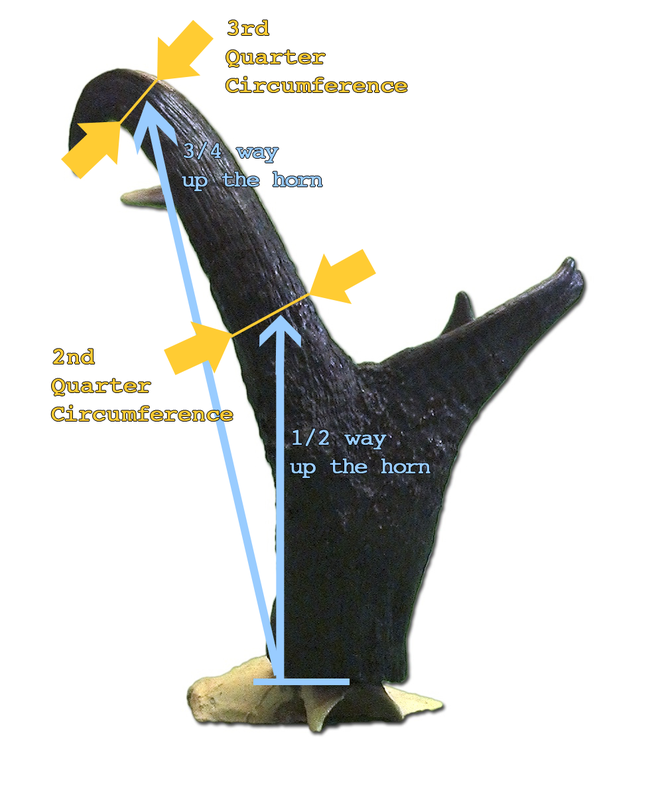 Example showing that the prong protruding off the main horn is much longer than 2". For Buck 2 the crowd was also pretty close on the overall guess. The individual measurements were close as well. ​The crowd was a little short on the length and a little high on the base. Other than that the numbers were very good! The same error occurred with the 2nd quarter measurement with several guesses over 6". This time there were a few really large base measurements and 1st quarters also. Some as high as 9" and 10". 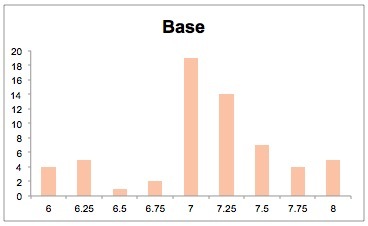 For future scoring reference - the largest bases and 1st quarters are usually in the 8" range. Even 8" is reserved for only the biggest of the big! Buck 3 the overall guesses were on the low side. The biggest miss here was the length. I'm not sure why that is, but maybe it was because of the poor quality video. It was taken about 20 years ago when "HD" didn't exist! Haha. Buck 4 was a success with the crowd achieving a very good score. The only big difference between my guess and the crowds was with the length measurement. I guessed the length much shorter. Perhaps it's because I'm assuming the buck is a 2 year old and thus has a very small head and body. Or maybe I'm wrong and the true length is somewhere between the crowds guess and my own. Buck 5 was probably the farthest off from the actual score. I'm guessing this is just a small sample size error since this quiz has the fewest entries so far. I'll post more field judging quizzes as this year progresses and we find new bucks to film. Camp in Unit 10 during the archery season. The last two years have been amazing in this unit and 2017 and 2018 both look to keep the streak going! I tracked down 35 different bucks taken in this unit in 2016 and 24 of those 35 were over 80. We guided to three of the biggest bucks in Unit 10 on opening morning and all three scored over 90 SCI. 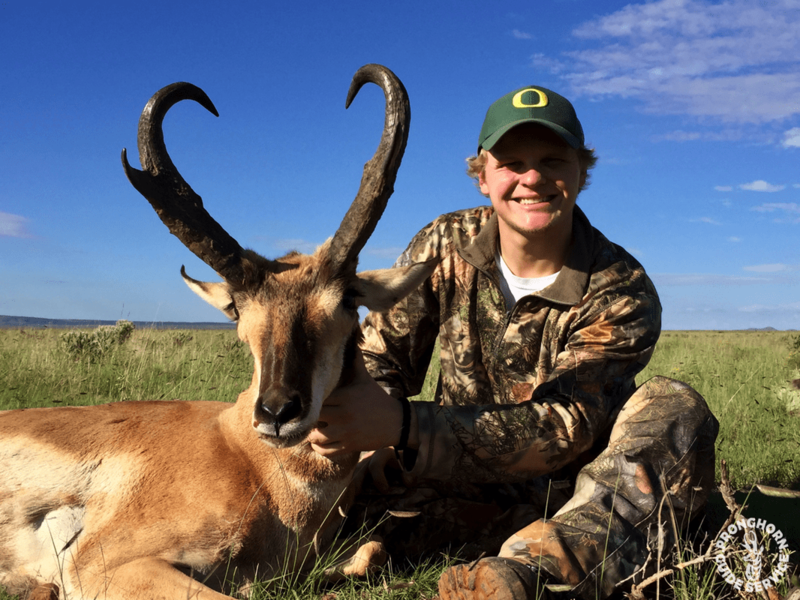 Austin Brishky's buck was the biggest in Arizona this year scoring 93 B&C. The Boquillas makes up most of the best country and access is always changing. Keep your ears open. 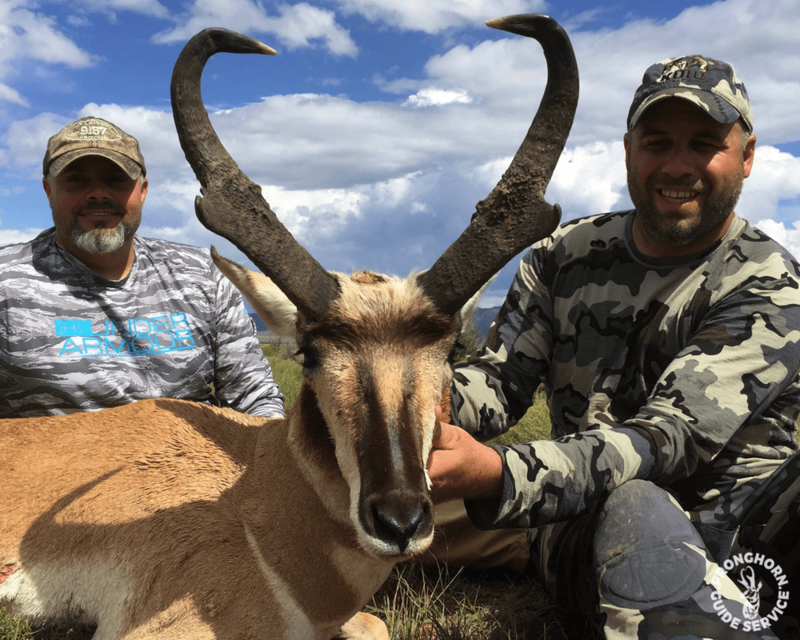 Also, because of the premier nature of these tags and the lengthy wait to draw them, this hunt can be very competitive if you're after the best trophy bucks. If you'd rather not compete for the best bucks then apply elsewhere. Interesting fact: Unit 10 has been in the Top 7 every year for the past 16 years except 2012 and 2013. We didn't have much luck scouting 19A in 2016, but a 90 was taken during one of the hunts. This unit is always a top unit, even in it's down years. Private access remains an issue. If you apply here contact as many landowners as possible as soon as you know you drew a tag. Interesting fact: My new ranking method has 19A ranked either 1st or 2nd every year for the past 16 years. I heard rumors of giant bucks in this unit but never located any of them. I'm sure they're alive since this unit has plenty of hiding spots. Unit 7 hasn't produced many bucks over 90, but I think they're there, just hidden away. 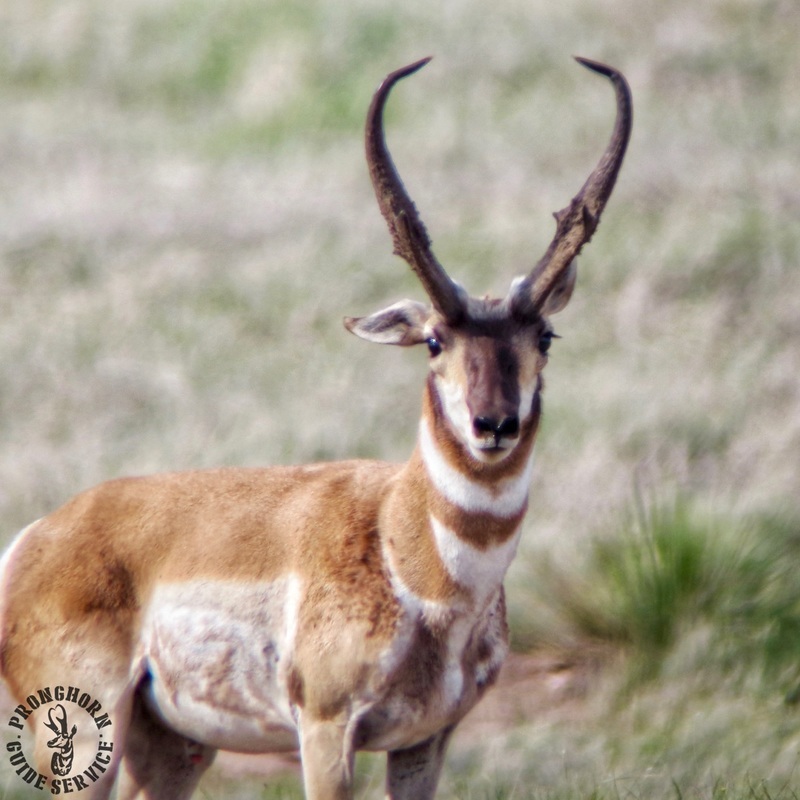 Interesting fact: A large part of antelope country in the north east is off limits until 2019. Last year was great in this unit. I know of several 80+ bucks taken. The herd is growing and I expect it to produce several more great bucks in 2017. Interesting fact: Michael O'Haco killed the former B&C World's Record in 4A in 1985. He also owns the best antelope hunting ranch in 4A. 19B is a great unit plagued by private land issues. We guided Mike Heller in 19B this year and killed a giant 87 3/8 SCI buck. We found many great bucks in 2016. Maybe a few made it through the year. 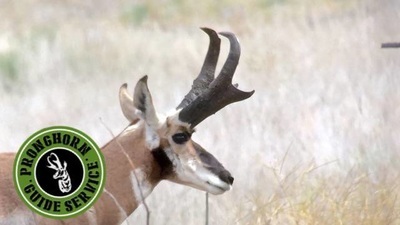 Interesting fact: Two of the three auction tag bucks came from 19B in 2015. Many trees and few flats. I don't like this unit, but I know hunters who love it. Interesting fact: Jeff Erickson killed a 96 1/8 SCI buck in Unit 8 in 2014. Like Unit 7 it has a lot of trees, but also a decent amount of open country. A 90 was taken here this year. Interesting fact: Surprisingly, 5B has only been ranked in the Top 7 six times in the last 16 years. Unit 4B: This unit is at 96% of it's 16 year high for potential giants. Units 5A and 3C: These two units are both at their 16 year high for potential giants. Neither unit produces the types of bucks that come from areas like 19A and 19B, but this year and next year are better bets than usual. Extra Bonus: Units that don't rank well but have great genetics! Units 18A, 18B, 17A, and 17B: These units have produced a lot of giants over the years, but always seem to rank poorly. Mostly because of the very low populations. Any one of these areas could produce a giant buck in 2017, just don't expect to see a bunch of them. Good luck in the draws! How To Instantly be Better at Field Judging! 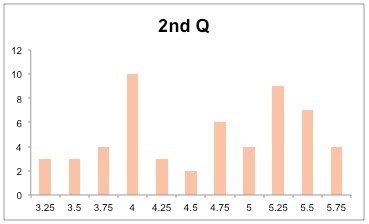 The image below shows the relative location of the 2nd and 3rd quarter measurements. Guess the 2nd quarter circumference between 3 and 5". Over 2/3 of them measure between 3 ½ and 4 ½". Don't guess outside that range unless you have good reason*. The bigger mistake is made when guessing the 3rd quarter circumference. 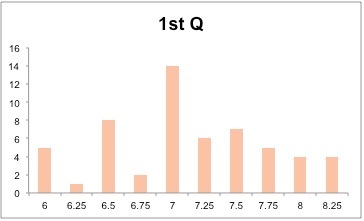 The field judging quiz numbers show 52% of the guesses missed the 3rd quarter in a big way. The simple fix below requires almost no extra work. Guess the 3rd quarter circumference 1 to 1 ½" less than the 2nd quarter circumference. The larger the mass becomes, the larger the gap between the 2nd and 3rd quarter circumferences. If the buck's 2nd quarter measures 6" then the gap may be more than 1 ½". 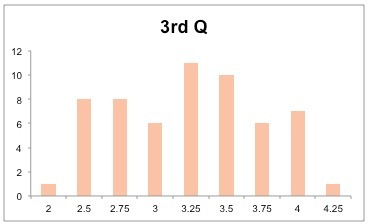 The smaller the mass becomes, the smaller the gap between the 2nd and 3rd quarter circumferences. If the buck's 2nd quarter measures 3" then the gap may be less than 1". 99% of the time, if you stick to these rules, your guesses will be more accurate. ​*This is assuming that you're field judging mature bucks. Exactly How it's Supposed to Work! 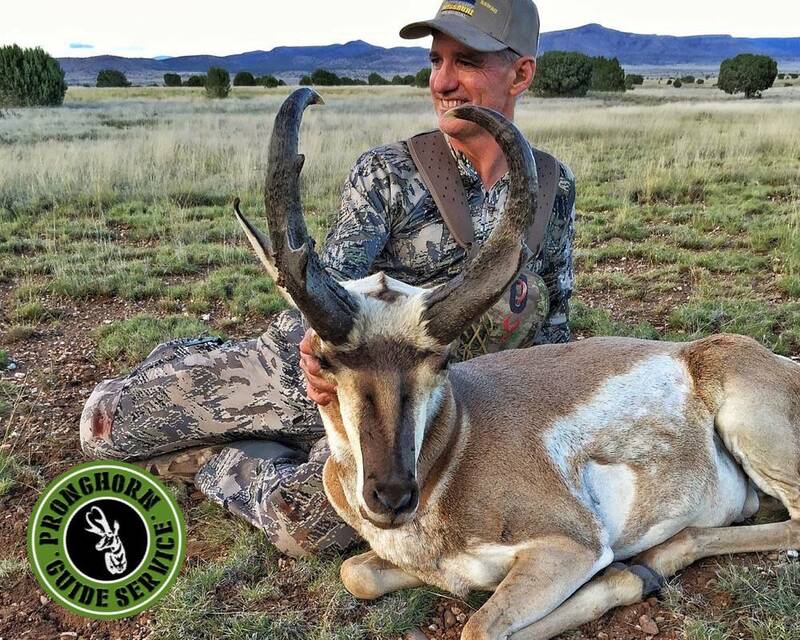 Garland Sawyer was the lucky hunter who tagged this awesome buck! This field judging quiz had a great turn out with 71 hunters getting involved. Thanks to everyone who submitted a guess. The official Boone & Crockett score is 83 6/8. The average of the 71 guesses is exactly 83 6/8! This is what I was hoping to achieve when I first attempted these guessing games. The wisdom of the crowd proved to be correct. Although the overall score was exact the individual guesses were all over the place. There were scores ranging from 67 inches to 107 inches! Lengths from 12 inches to 21 inches. In fact, after looking at how wild some of the guesses were, I'm really surprised that the average of the scores was so exact. As for the grades there were only 3 A's and 11 B's out of the 71 guesses. Again, this makes it even more remarkable that the average ended up being what it was supposed to be. 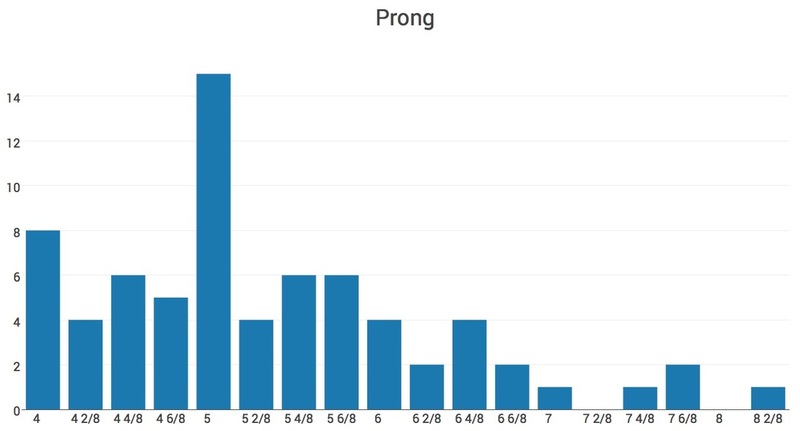 ​It's interesting that the guesses were the most inconsistent with the prong measurement as I generally think it's one of the easiest to guess right. Think of the prong as 2 measurements - behind the prong and off the horn. Guess 2, 2 ¼", 2 ½", or 2 ¾" for the behind the prong measurement. If it's super heavy guess 2 ¾". If it's thin guess 2. If it's in the middle guess 2 ¼" or 2 ½". 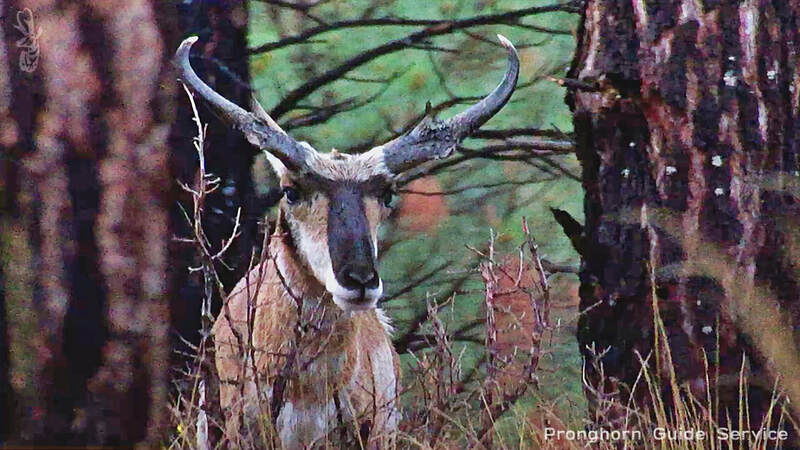 Compare the eye to the prong that branches off the main horn. If that looks equal to the eye then it's 2". If it's twice the length of the eye then it's 4", etc. Most will be somewhere in the middle. For the total length of the prong add these two steps together. If you want more In-Depth Field Judging advice look at our DVD "Size is Everything". Tons of info on how to do it in the field and lots of giant bucks to drool over. If you guys liked the grading and the set up this time let me know either on a comment on this blog or on Facebook. If you have anything specific you'd like me to cover also let me know that. Thanks for playing along and stay tuned - I'm planning on having a lot more Field Judging Quizzes in the near future. I created this county heat map using our 90" List. 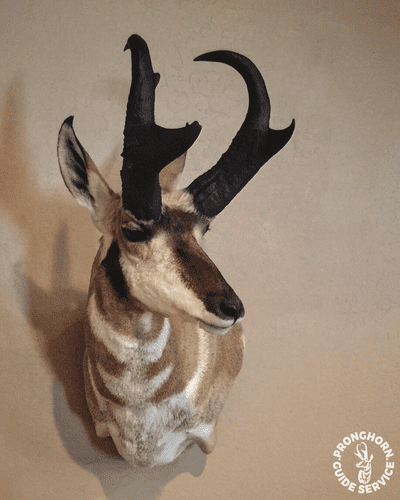 It shows every county where a 90" pronghorn has been killed. The most 90" bucks come from the greenest counties while the fewest come from the red counties. If a county is still white then there haven't been any 90" bucks killed there that I know of. If you're applying out of state and wanting to hunt the biggest buck possible, you should be applying only for the counties that are marked in the image. And the greener they are, the better. 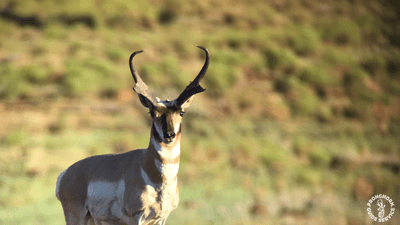 You won't necessarily be able to hunt a 90" pronghorn by applying for these counties, but you will be assuring yourself that you're hunting in an area that has the best genetics. These areas will generally hold more 82" bucks as well. The red counties can be tricky as most of them only have one 90" buck to their credit. Avoid them if you can, but if you run out of options they're usually better than the white counties. 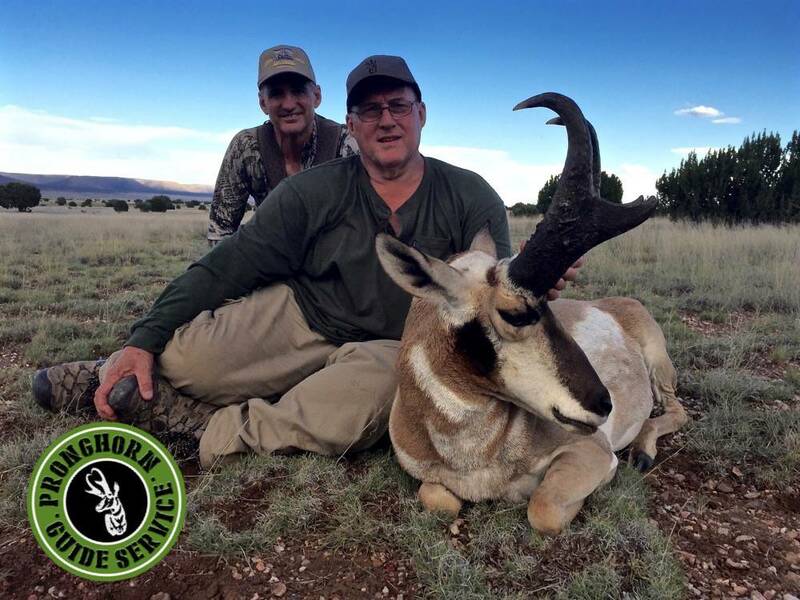 As you can see from the map, in Arizona, New Mexico and Wyoming a 90" buck can come from almost anywhere in the state, but the greener areas tend to produce them at a much higher rate. 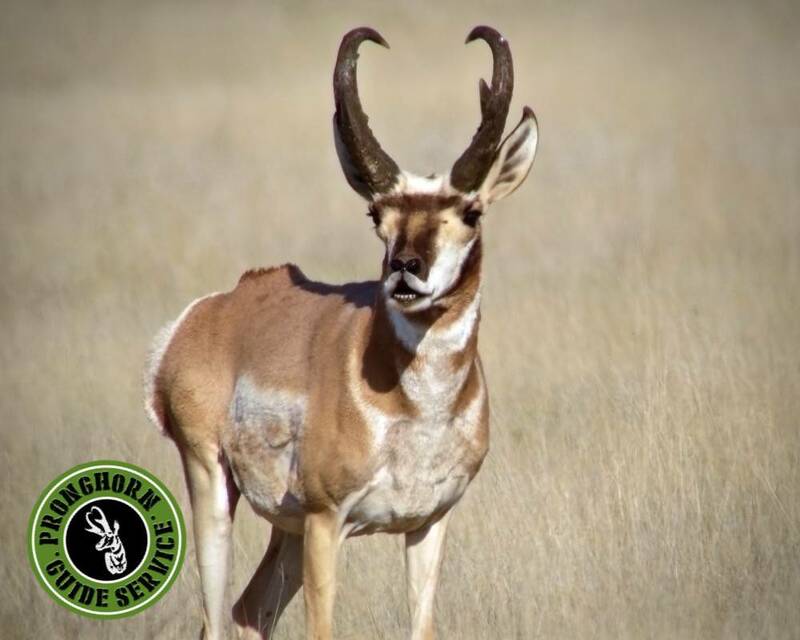 States like Utah, California, Oregon and Colorado have only a couple areas where the genetics have ever been good enough to produce a 90" buck. Keep this map in mind when you're applying for your tags - hopefully you'll draw an area with a history of great genetics. A 90" buck taken by my Dad in Uintah County, Utah in 1988. To my knowledge, this is the only 90" buck ever killed in this county - probably not the best county to apply for if you want a giant buck. 1. Unit 19B - Although down about 7% from last year it should still produce a few giant bucks. Access remains a big issue. 2. Unit 19A - Up 18% from last year. I'm hoping 19A can have at least one more banner year before it's too late. The numbers are about half of what they need to be to support it, but maybe it can be this year. 3. 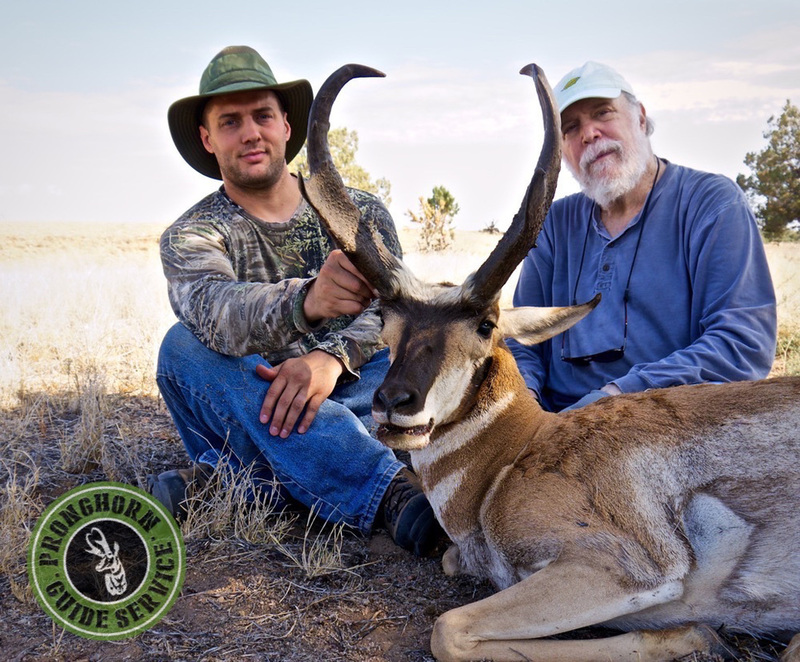 Unit 10 - After 5 horrible years (2010-2014) Unit 10 finally produced a bunch of giant bucks again. It's up 24% from last year so 2016 could be another great year for the unit. Big Bo access is ever changing so keep your ears open for any news that might change things. 4. Unit 8 - I knew a lot of people who had unit 8 tags last year and most of them didn't seem to find very many good bucks. This is always the risk with this unit though because of the dense forest. Down 9% from last year. I wouldn't apply here but that's because I prefer to hunt my antelope in the antelope country and not the elk country. 5. Unit 7 - Up 18% from last year. I didn't hear much about the unit last year except for a couple good bucks. Also, the entire area north of the Wupatki is closed so that puts a damper on things. 6. 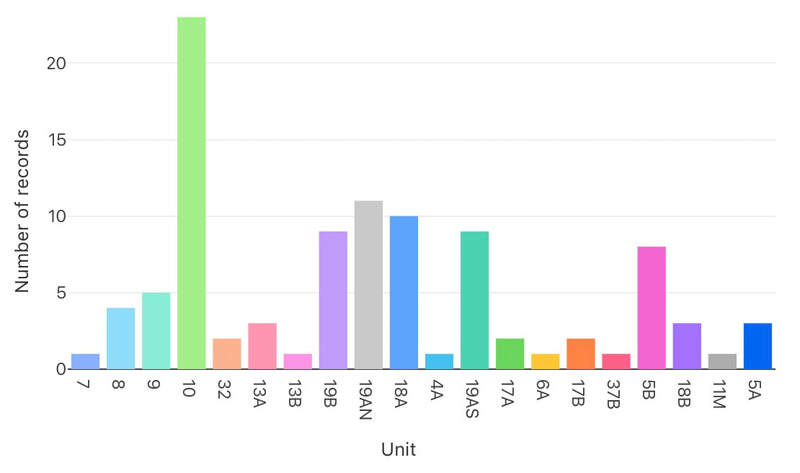 Unit 4A - This unit had a lot of young bucks in it and good numbers. At the end of the hunt all the big bucks were dead, but if the young ones grow up it could be a good area this year. Down 19% from last year. 7. Unit 5B - Down 6% from last year. We killed one of the auction bucks in this unit. There were several other really big bucks killed. 8. Unit 9 - Not only is unit 9 up 21% from last year, it's also at a 14 year high. I don't know if that means anything, but I did see a lot of young bucks while scouting last year. Hopefully a few of them made it through the rifle hunt. 9. Unit 21 - I have no idea how this unit keeps showing up on my lists. 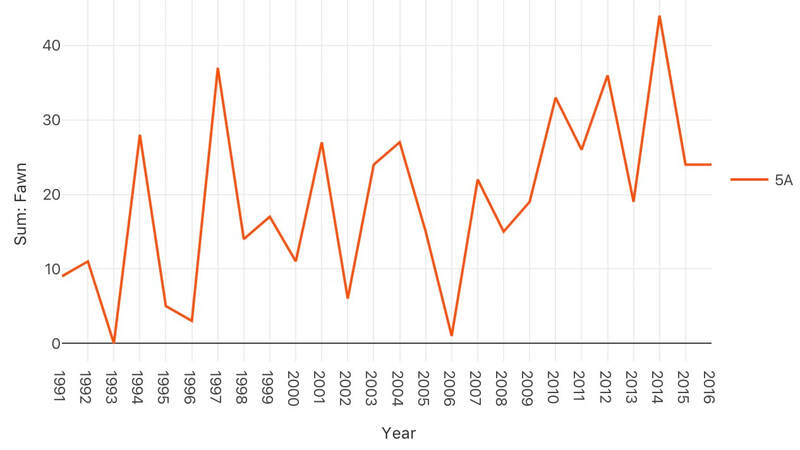 But, similar to unit 9, it's at it's 2nd highest in 14 years and up 6% from last year. I wouldn't recommend it, but who knows, maybe it'll produce a few big bucks one of these years. 10. Unit 4B - Up 6% from last year. We don't usually scout 4B so I'm not that familiar with it. Good luck in draws in 2016! I cheated on this one. I already know the measurements. 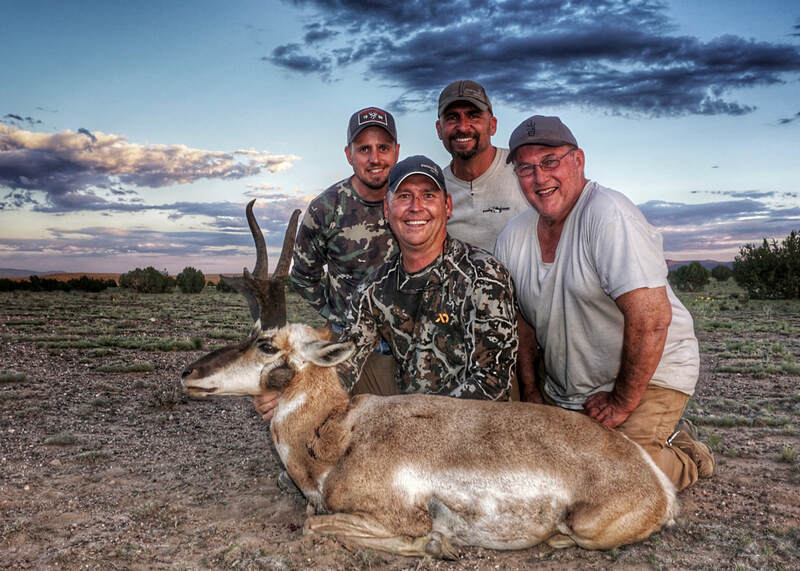 We took this buck on the Arizona auction tag with John Koster just a few days ago. 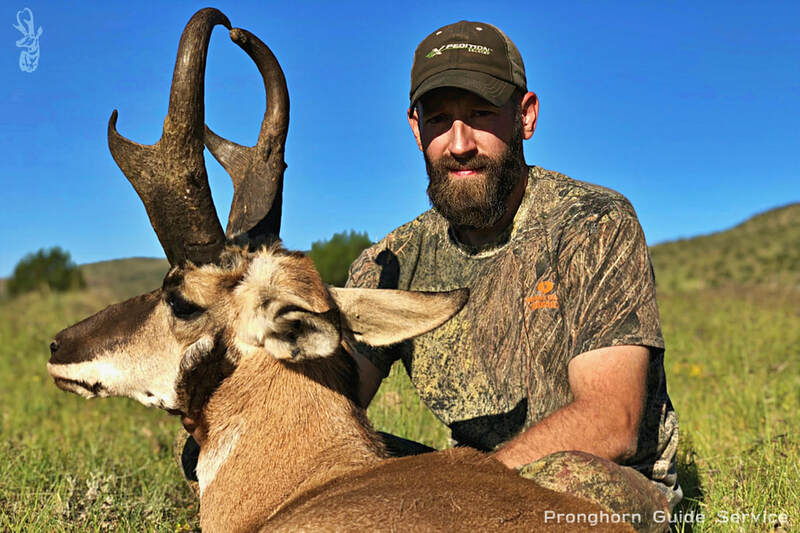 Obviously, we thought he was big enough for a Special Commissioners Tag, but I'll share with you the results of the poll, what my thoughts were before we killed the buck, and what his actual measurements were. You can guess that we thought this buck was much larger than the crowd since we opted to hunt him with the Special Commissioner Tag hunter. My guess for this buck was 90 6/8. Like always I try to guess on the low side of possible outcomes. Here are the body measurements I used to formulate my guess. Most of these measurements appeared low to me given that the buck is from Arizona and appeared to have "Dumbo" ears, but they averaged out nicely and encapsulated a wide range of possible outcomes so I used them. Also, even though they appeared to be low they still gave the buck an overall score of 90 6/8! Length: I had the buck at 16 2/8, 1 2/8 longer than the crowd. You can see from the chart below that almost everyone guessed him at 15 4/8 or shorter. I believe the major discrepancy here lies in the fact that he looks very short from the front view. In fact, when we first saw the buck standing there looking at us we thought he looked like a heavy 13 inch buck. But when he turned sideways things changed a lot. We could see that his prongs were as high up as his ears were long. This meant that if his ears were 7 1/8, then his TP would also be about 7 1/8. He also kicks back quite a bit on the length past the prong. It's definitely over an inch longer than the TP measurement - maybe as much as two inches. This is one of those bucks that you have to completely disregard what you think about his length from when he's looking at you. All of this bucks length is seen from the side view and none of it from the front view. 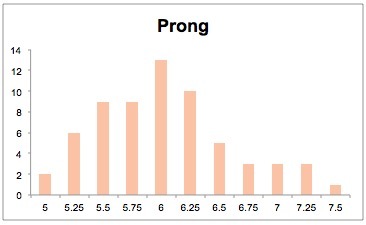 Prong: I had the same guess as the crowd on this measurement. If you've been following along you'll probably notice which of the measurements on pronghorn is the easiest to get right by now. It's the prong! I guessed 6 inches based on his left prong, which I felt was a bit shorter than his right prong. Bottom Mass: I guessed the bases at 7 5/8 which is half an inch larger than the crowd. I actually thought the bases looked larger than that. From the side they're clearly half an inch wider than the eye is across. And from the front they look as wide as his nose! They basically looked like 8 inch bases. 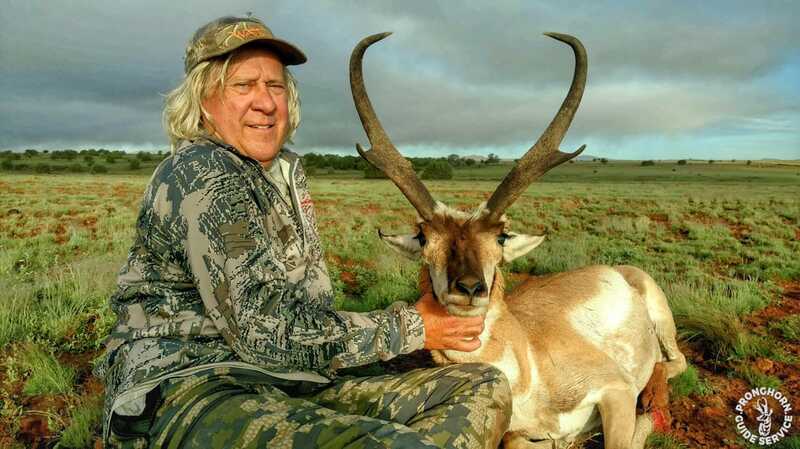 The reason I gave them "only" 7 5/8 is because, of all the 90 inch bucks ever killed in Arizona, only 5 bucks have had bases as large as 7 6/8 and only one has ever had an 8 inch base. That means that 8 inches is very rare territory. So rare that it's almost never even been done. Top Mass: I had the buck at 8 1/8, the crowd had 7 7/8. Not a huge difference here. If you add all my measurements together they total 90 6/8. I don't know why the crowd was so far off, but I know exactly why I was - his short ear was 7 5/8 and his face was 8 (his long ear was 8 inches - third longest ear we've ever measured). His eye was 1 7/8, his chest 17, and his eye to eye 5 4/8. This was a giant bodied antelope! His horns were larger than we expected, but exactly what we were hoping for. As ridiculous as the following photos look, the buck seems even bigger in person! The moral of the story is this: I see hunters on the forums always tell other hunters that they'll "know a big one when they see one". It's simply not true. 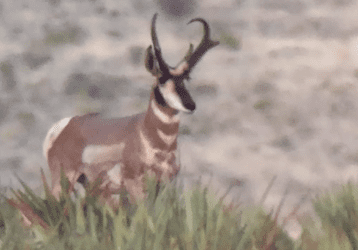 When 80 different people, on average, under judge a buck by 10 inches, you know these creatures are one of the most difficult to field judge in world. Sometimes a big one will look big, but sometimes it will basically be a World's Record and you won't even know. As many readers suspected we were targeting the buck in Poll #1 for one of our hunters. We took him July 5th at 7:15 AM from 235 yards away. 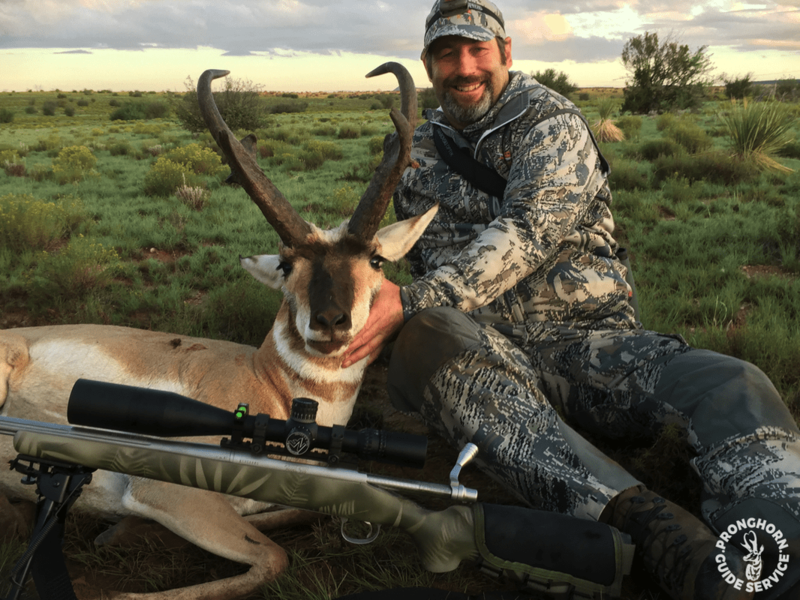 Dr. David Meyer used his custom Norma 6XC shooting 105 grain Berger bullets. The ear may be a tad long and the face a tad short, but overall they're very normal measurements for Arizona which makes it much easier to field judge correctly. The buck did seem to grow since I took the pictures that were posted in the first poll. Those pictures were taken on June 4th, 32 days before the green score. In those 32 days it appears, from the photos, that the buck grew anywhere from 2/8 to 6/8 inches of length. 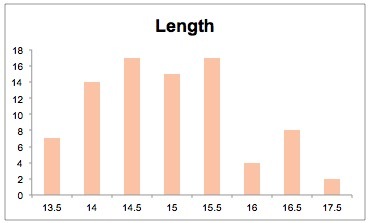 This means that most all of us, on average, probably nailed the length when we guessed 16 3/8. If we were under a smidgen that's OK, too, since it's better than guessing too big and being disappointed. His long prong is probably closer to the crowd's guess of 6 2/8, but his short prong (the one B&C cares about) is closer to my guess of 6. However, both guesses were basically right on the money given each one nailed one of the two prongs. The crowd was pretty close on this as well with a guess of 14 1/8. My guess was 14 7/8. His base did tighten up just a bit before we killed him as we suspected it might. This is the one where the crowd and I both guessed too low. We may have misplaced the tape by a few eighths since we didn't measure the exact spot to put the measurements, but the prong ended up over 8 inches high which puts that 2nd Q measurement nearly right on top of the prong. You can see from the ground photo that right above the prong is as wide as the buck's eye is across. Any time you can get that measurement to fall on top of the prong it will be a lot bigger than even just a half inch up. All of this adds up to around 93 inches. On the surface none of these results seem out of the ordinary, but let's dig a little deeper. Length: I think this is actually pretty accurate, but I disagree with it. I've looked at the buck over and over and he looks a lot longer than that to me. When I break it down I come up with 6 4/8 TP and 9 5/8 PP for 16 1/8. Sometimes he looks even longer than that to me, but given the crowd has him at 15 6/8 I'll shy away from the higher numbers I was thinking of. By season he may put on another 2/8 - 4/8. Fingers crossed. Prong: I think the crowds number is low here as well. I see about 4 OH with a typical 2 4/8 BP for a 6 4/8 prong. If we look at his left side profile I see about 2 eyes worth of prong OH. His right prong has always looked shorter to me, but I have a theory about that and it leads me to believe that both prongs are usually similar in length unless there's an obvious difference. Bottom Mass: I think this is close, but if we remember the field judging tip during poll #2 (low, big prongs = increasing 1st Q measurement) then we'll probably see something more along the lines of a 6 6/8 base and 7 first quarter. Or if we scale it up a 6 7/8 and 7 1/8 or 7 and 7 2/8. You get the idea. Top Mass: I think this will be 7+. 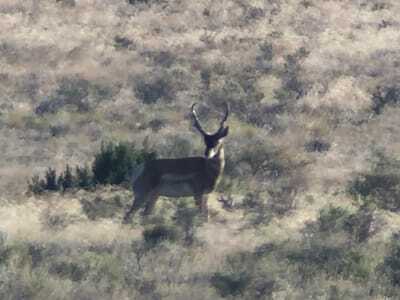 Most mature big Arizona bucks have at least 7 of top mass and this buck doesn't look any different to me. My numbers total about 87. My individual numbers aren't much different, but when you add them all together it turns out to be quite a bit. He looks even larger than 87 to me at times but I'll try to err on the side of caution.